2013 was great. Especially with the launch of Teen Culture Magazine and and my favorite movie of all time…… THE HOBBIT and the desolation of smaug! Yeah, I’ve seen all of them so far. So TOTES amazing, but anyway to get back on topic Music time. What I’ve noticed this past year is that I have a lot of music on my electronic devices; to much for me to handle. 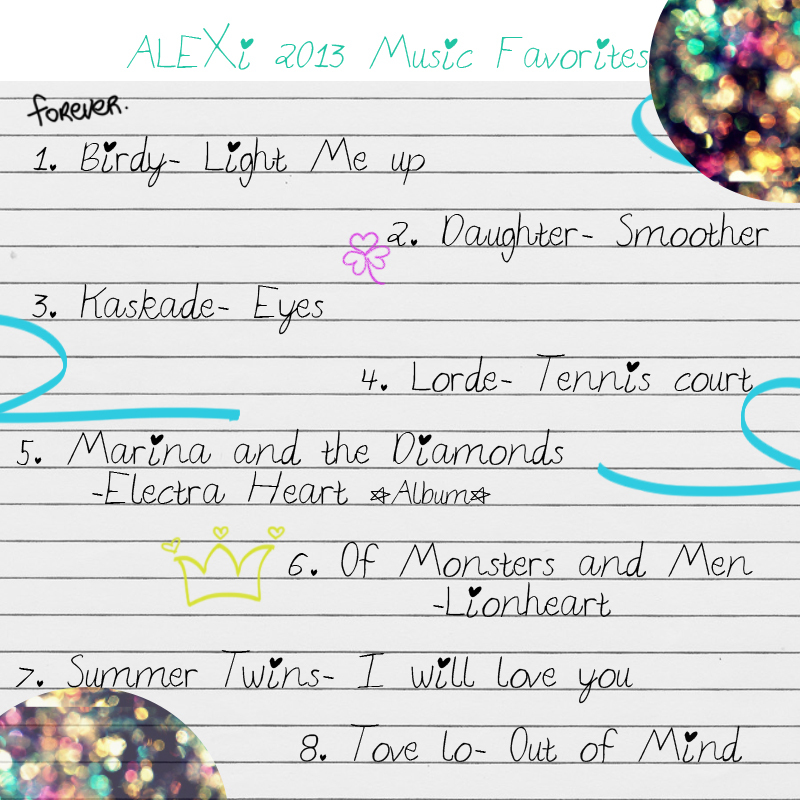 So I decided while I clean out my playlists that I would share some of my favorite songs and albums from 2013! Their all done that was a lot harder then I thought! This is only 8 out of many songs that I drown my life with! So I hope you will enjoy this and If you want to see more of these monthly music lists from me then feel free to comment below. I want to know what you listen to , so comment and I’ll make sure to read all or most comments! B-Y-E!